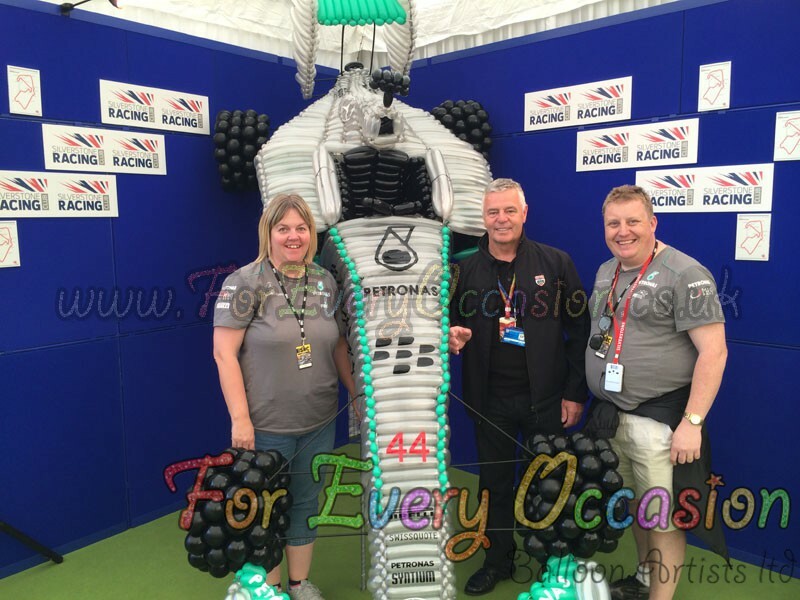 Once again this year we were asked by Matt Lewis of Matthew Lewis Displays in Coventry to assist with the decor for the Silverstone Racing Club Marquee at the British Grand Prix. 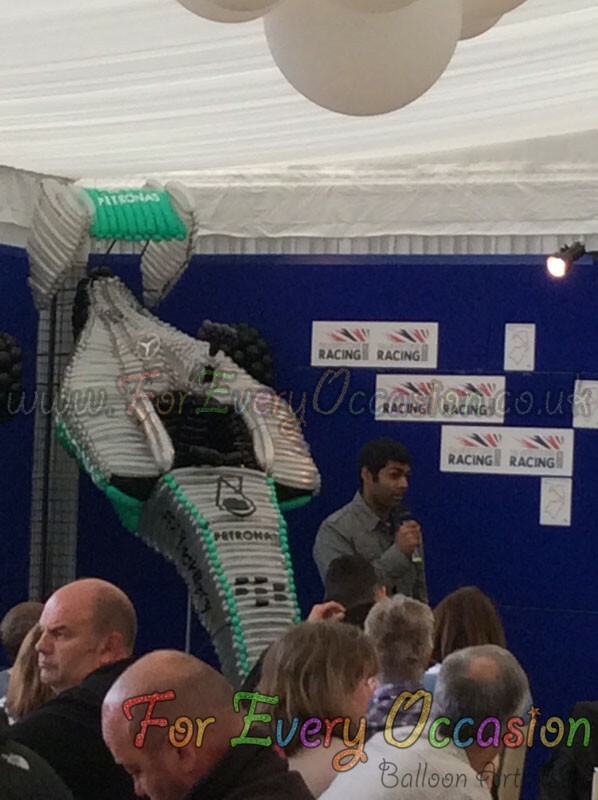 Now being huge F1 fans Sara and I made ourselves available for the event. 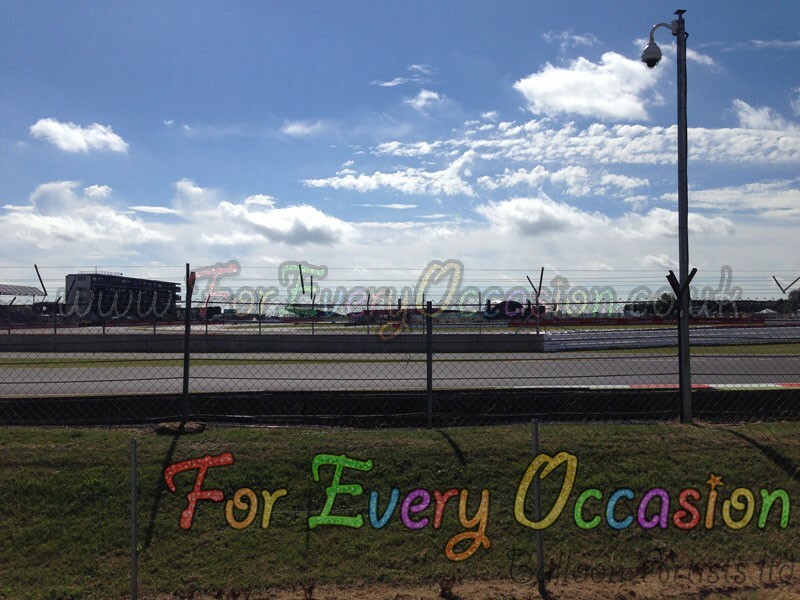 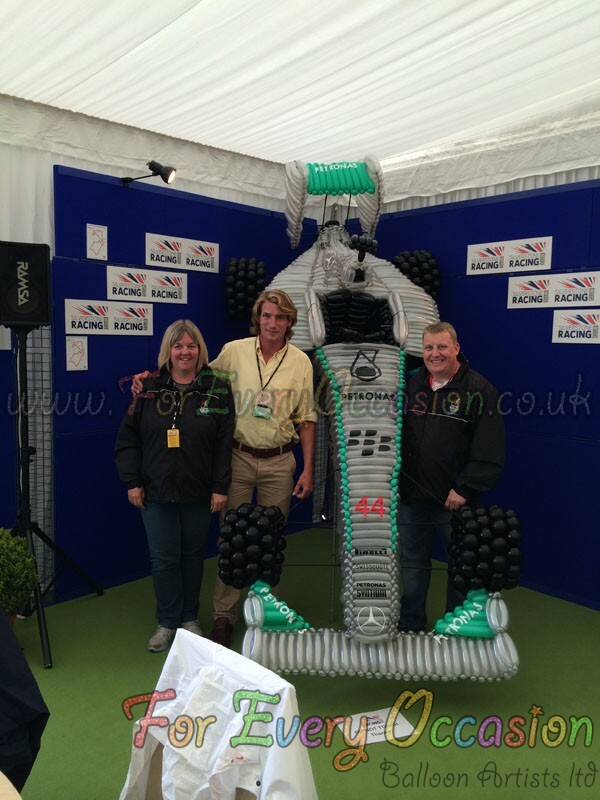 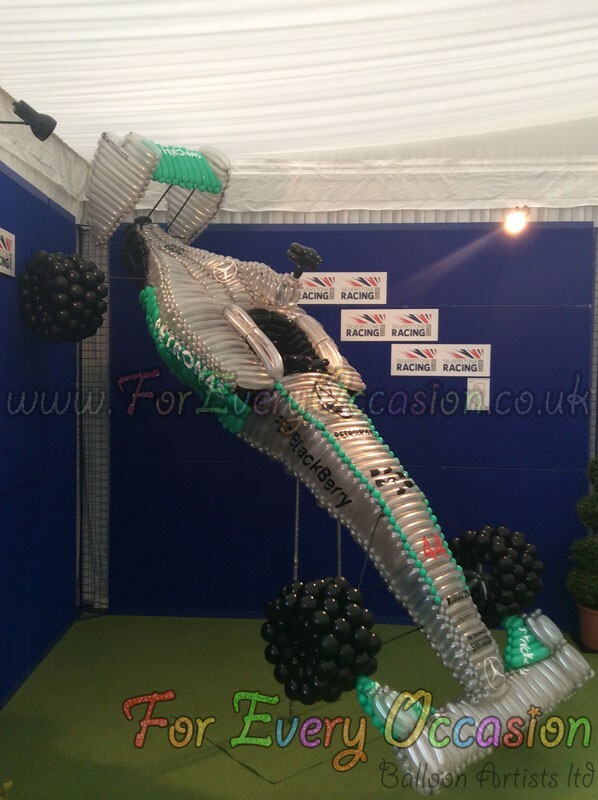 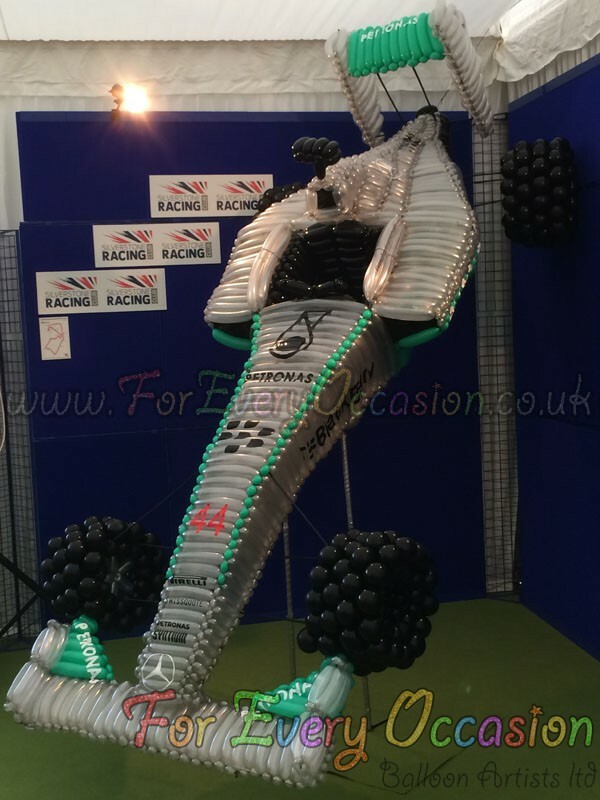 After seeing the pictures of our large sculpture of the red arrows at the World Balloon Convention, the client asked if we could do something special to celebrate 50 years of the British Grand Prix at Silverstone. 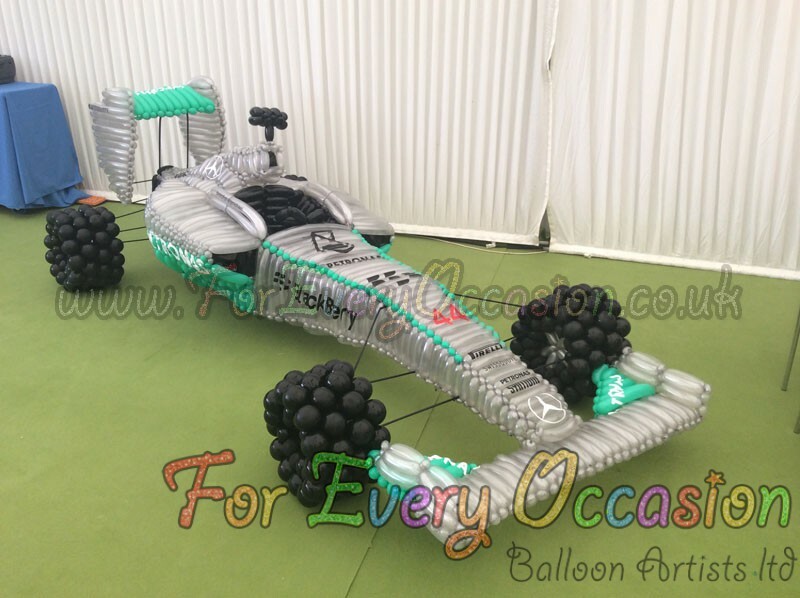 They asked if we could create Lewis Hamilton’s AMG Petronas Mercedes W05 car. 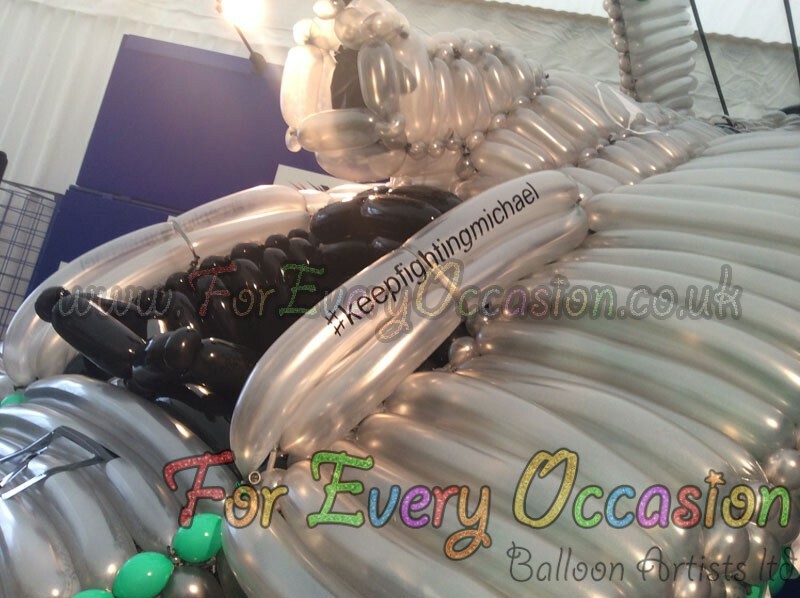 We created a 2/3 scale replica completely from balloons. 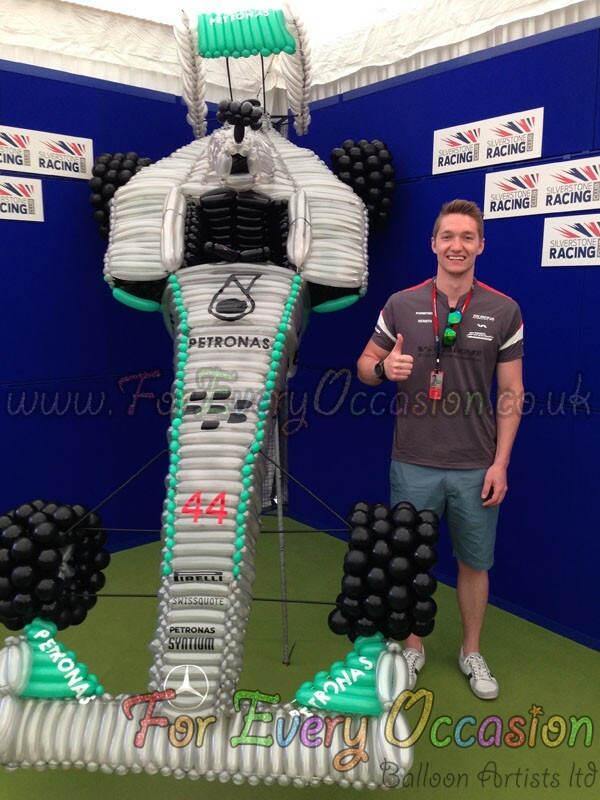 A fantastic weekend and even better with Lewis winning.